In the face of the continuing onslaught against local retail businesses by the Amazons of the world, it is really gratifying to see that one retail store, born of community need, and capitalized and led by community members, stands strong against the Amazon tide — The Community Store in Saranac Lake. As the nights get longer and the year comes to a close, the holiday season is a time for renewal and fresh possibilities. This winter, The Community Store is launching a new image with a revived focus on local shoppers, local businesses and local products. From the beginning, this community-owned, community-grown shop has been “all about the community,” said co-founder and president, Melinda Little. That’s why, seven years since it opened its doors, The Community Store is revamping its brand, its focus and its inventory to better serve the people who live in and visit the intimate mountain town of Saranac Lake. The store was originally created to fill residents’ shopping needs after Ames, the town’s only department store, closed in 2002. After much input and investment from local community members over a five-year period, The Community Store opened in the fall of 2011 and has been providing the department store basics and locally made products in a 4,000 square foot retail space. “We try as much as possible to carry American-made products,” Little said. “And it’s a homerun if we can purchase goods that are produced more locally.” She also noted the inventory of local products represents one of the store’s strongest departments in terms of sales and positive feedback from patrons. 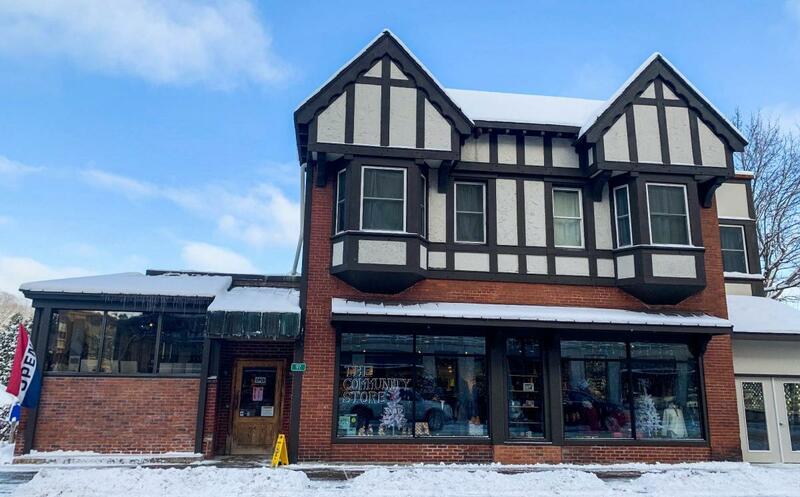 In its ongoing effort to be responsive to the community’s needs and preferences, The Community Store has been increasing its inventory of high quality and affordable local goods. Stroll through the store to find a variety of regionally produced homegoods, bath and body products, jewelry, pet products, printed materials and specialty foods. These sales directly support small business entrepreneurs from around the North Country. The Community Store’s manager, Terry Reed, credits ANCA’s annual Adirondack Buyer Days trade show in Saratoga Springs for connecting her with many of these businesses, including Maple Mountain New York, Berube Botanicals and Bluebird Candle Company. The store features locally crafted goods from over 20 Buyer Days vendors as well as other regional artisans. Stay tuned! This Saturday, December 15th, The Community Store will be unveiling its new name, logo and aesthetic, developed as part of its rebranding project. And keep an eye out for its new e-commerce website that will make it easier to shop online and still support this community-grown marketplace. Update: The store's new name and brand: "The Village Mercantile: anything but general." We love it. Buy local. Support local. Grow local.